The US coastline stretches 19,924 km – that’s a lot of beach. Here are some of top states for a beach holiday and which strips you should visit. California has a huge range of beaches to choose from. One of it’s most renowned is Coronado, which is a hotspot for surfers, sand sculptors and sunbathers alike (it’s even got a dog-friendly section). Santa Monica State Beach in LA meanwhile is equally as popular, featuring an incredible pier with shops and an amusement park on. California’s beaches can often get pretty crowded – if you’re looking for a quieter beach, Sand Dollar Beach is a hidden gem worth trying with great surf-ready waves and cliffs containing jade stone rocks. Being an archipelago, Florida has so much coastline to choose from. Miami’s South Beach is one of the most popular, featuring multiple sections for all types of beachgoers whilst set to a backdrop of Art deco architecture. Those wanting a quieter escape and the opportunity to surf should try Miramar Beach in which you can stay at the Residence Inn Sandestin at Grand Boulevard. Those wanting to see turtles hatching meanwhile can try Barrier Island. 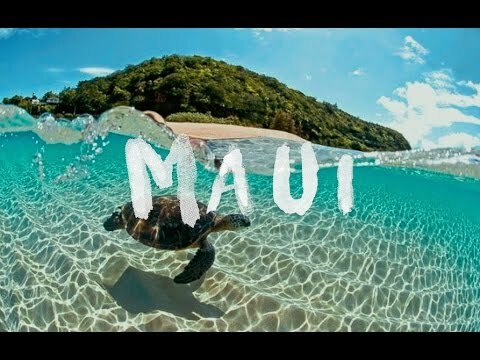 Hawaii has some of the most scenic beaches of any state. The sands are white and the water is warm. Some of the best stretches include Manele Bay (a popular spot for snorkelling and diving) and Kauna’oa Bay (the waters are blue and it’s surrounded by palm trees). When it comes to sunbathing, few beaches top it. You don’t need to go south to enjoy America’s shorelines as Massachusetts shows. Here you’ll find the quaint island of Nantucket – once a whaling community, this island has become popular for tourists due to its serene dune backed beaches and historic lighthouses. You’ll also find some incredible beaches up near Martha’s Vineyard tucked beneath the cliffs (‘Moshup beach’ is the most popular, but go north and you’ll find plenty of more secluded stretches of sand). North Carolina also has some great beaches to choose from. Cape Hatteras National Seashore stretches 72 miles and is home to the country’s largest lighthouse. Shackleford Banks meanwhile is a hotspot for shell collectors, as well as being home to wild horses. Those wanting an active holiday should meanwhile try Topsail Island – from here companies such as Paddle NC can arrange kayak tours. When people think of New York, it’s usually images of skyscrapers and urban surroundings that come to mind. However, being on the coast, it’s also got it’s fair share of beaches and some of them are excellent for a seaside escape. East Hampton is renowned for it’s white beaches and lobster rolls and is a popular retreat. There’s also Jones Beach, surrounded by historic sights and family attractions. Fort Tilden meanwhile is a secluded strip that’s great for getting away from the hustle and bustle of the city.